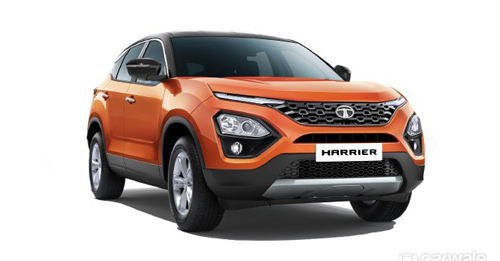 Priced between ₹ 12.69 lakh and ₹ 16.25 lakh, the Harrier will compete against the Jeep Compass, Hyundai Creta and the likes. After a long wait, Tata has finally launched the Harrier today. The car is now on sale in four variants and is priced starting ₹ 12.69 lakh. Bookings for the Harrier had commenced last month for a token amount of ₹ 30,000. Tata first gave us a glimpse of the Harrier, in concept form, H5X, at the 2018 Auto Expo. Based on the same D8 platform as the Land Rover Discovery Sport, the Harrier is only on sale with a Diesel engine. It gets the same Fiat-sourced 2.0-litre motor as the Jeep Compass. In this SUV, however, it makes just 138bhp and 350Nm. Tata has only launched the Harrier with a manual transmission as of now - an automatic may come at a later stage. With regards to design, the Harrier looks quite identical to the concept. Up front, it has the wide honeycomb grille and sleek looking DRLs on either side. Headlights are uniquely shaped and positioned on the bumper. The Harrier looks absolutely stunning from the back. The broad stance and the single stretched LED taillight gives it a sharp look. The dashboard looks premium and is dominated by a large 8.8-inch infotainment screen with Apple CarPlay and Android Auto connectivity features. For the infotainment system, the Harrier gets a nice 7.0-inch display. The Harrier comes loaded with safety features too. 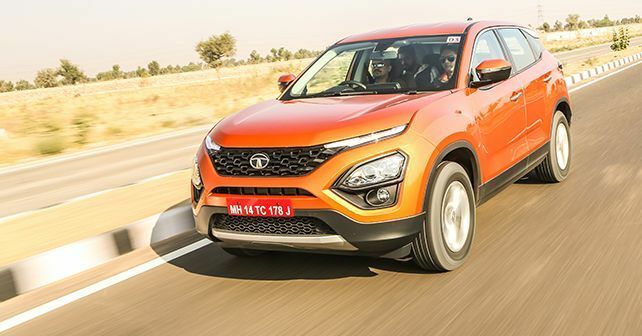 Tata enters the premium space with the Harrier and it will compete against the likes of the Jeep Compass, Hyundai Creta and the Mahindra XUV500. You can find out how the Harrier drives in our First Drive review and can take a look at how it compares against its chief rivals in our spec comparison. Here's a variant-wise price breakup of the Tata Harrier (all prices mentioned below are ex-showroom figures).